This in-depth site defines sound and describes its measurement, behavior in water, and importance to marine life and humans. 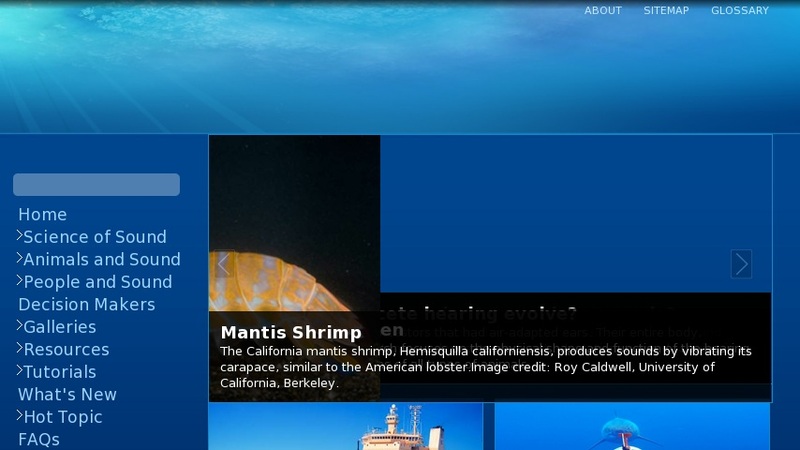 Extensive audio gallery includes examples of sound production by invertebrates, fishes, marine mammals. Human uses of underwater sound and the technology and applications of acoustic equipment are explained. Profiles of researchers in physical oceanography, marine biology, engineering provides current examples. Teacher resources include reference materials and interactive lesson plans using audio data.